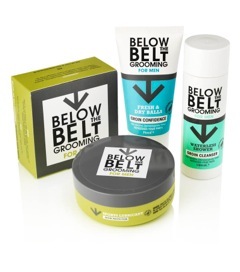 Jonathan Durden (the D in PHD) lays out how he and business partner Geoff Percy dreamed-up and launched Below The Belt - a range of "groin grooming" products for men. This is the lift sell. Two guys in their 50s - each of whom on the face of it has little to prove in his career, one as owner/client and the other as a media founder - together launch a unique range of products into a brand new sector: Men’s Skincare Below the Belt. I am Jonathan Durden. I am, or was, the D of PHD - a business which began with three blokes in a loft and no clients and now turns over billions globally. 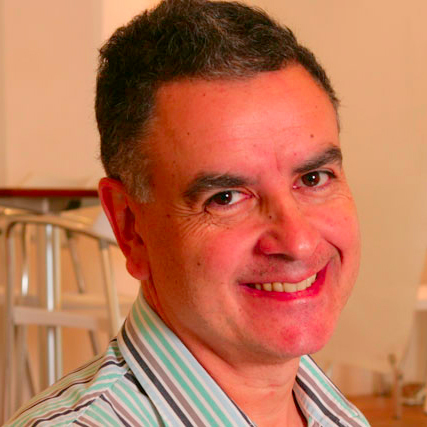 My partner is Geoff Percy, who among many other things, bought the Simple skincare brand, became its CEO and dramatically grew the brand to sell it on to Unilever. That's a place that neither of us expected to be. On 29 May 2013 we slumped together on a sofa at the Ivy Club to talk about an idea. It began: "Why are there no products specifically tailored to address the issues raised because God had an off day when it came to the design of male genitalia?" We use antiperspirants under our arms, but nothing for the groin where we flap about, in the dark, sometimes chafing and often uncomfortably restricted. Talc is hardly a mainstream product since the invention of black underwear and the aerosol. Geoff calmly replied: "Hello Jonathan. Surely you should buy me a glass of wine first." [At first] men feared being labelled as suffering from an unpleasant condition if a product named Fresh & Dry Balls were to be spotted on their bathroom shelf. And so began the first twelve months of two business partners who mentally lived inside other men's pants. Our process has been enlightening, through research, favours pulled, insight, and the wisdom of others. We began by involving two experts with whom Geoff had a long history of trust and respect. Paul Hebditch, the man behind the formulation of so many well known brands from J&J to Scholl and Ian Lewis, Geoff’s previous Head of operations & IT at Simple. I commissioned focus groups to get a steer from relevant men and women into the proposed range. Why had no one attempted such a huge opportunity before? Were we missing something? At that time we had a series of working titles. Inevitably some puns emerged such as ‘The Loin King’ and ‘bUd’. It was my wife Caroline who came up with the eventual choice of ‘Below The Belt Grooming for Men’ and this proved most acceptable in research. We agreed that straight talking, a clear purpose and not exploiting a cheap joke was the best way forward if we were to effectively communicate a genuine purpose. But in these same focus groups there were many unforeseen surprises such as the women tasting the product first. The men could embrace the comfort and confidence aspect, but feared being labelled as suffering from an unpleasant condition if a product named Fresh & Dry Balls were to be spotted on their bathroom shelf by a girlfriend. It was a valuable lesson that also demonstrated our need to extend both our range and our brand ambitions to find the route to mass acceptance and a genuinely useful place in the world. We investigated other product propositions which answered civilised man’s requirements. 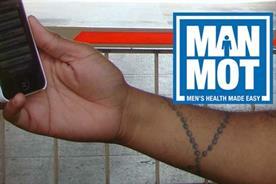 And we settled on a three product launch as the springboard to other solutions to modern male dilemmas. In turn we enlisted the talents of Emma Narramore of Moreish design to craft our btbgrooming logo and packaging. She has worked with famous FMCG brands, yet could adapt to our faster, more nimble timetable. The glamour was never ending. Laboratories and manufacturing plants in Hampshire. Packaging from Suffolk, Wimbledon and Bilbao. We found these are the places where inspiring innovation truly live. Putting on hairnets became normal, watching our products on a production line fall into a labelled container is a thrill close to witnessing childbirth. Most daunting was meeting, via Marc Mendoza, a group of young, talented people housed in an ex factory in Vauxhall, run by a 23-year-old Callum Negus Fancey. Let's Go Crazy Holdings is where Freemavens map and track words, phrases and discussions on every platform globally, and where yourvine creates user-generated content and attracts brand advocates. Early discussions with Nick Bampton of Channel 5 explored what we might be able to achieve across their group, despite this entire enterprise being self funded. However, ultimately, we decided to promote btbgrooming initially by gaining momentum, using the public as our engine room, forging meaningful links through sampling and ambassadors. We have gained some additional traction with a recent article by Dr Pam Spurr in the Sun online, and by placing product in the hands of various Wimbledon tennis players and into the dressing rooms of festivals where, everyone from Arcade Fire, Jake Bugg and the Libertines will hopefully soon be using them. Our marketing plans are kicking off now, and we are adopting tactics which are as fresh and new as our range. We have just talked to a major retailer. On that day we were nervous. I grew a spot on my forehead so large it had a name. The heel fell off my loafer and a man walked into my toilet cubicle. All their meeting rooms were occupied and we were ushered into the middle of the canteen to deliver our important sales pitch. Plates of chicken and chips, the rattle of cutlery and the constant sound of spoons stirring cappuccinos rang in our ears. But do you know what? It was fun, just like it was the first time around. A couple of hours talking and listening with some fellow professionals about the opportunities for both sides, while ignoring the clatter of daily life going on all around us. Starting a new venture is not glamorous, but right now we would not swap this time for all the trips to Cannes or freebie Monaco Grand Prix jollies in the world.